I like books. I like cats. So I had to buy this one! "On a sunlit headland at Tintagel, the King and Queen are raising their three beautiful kittens. But which is the famed Golden Cat? And how to tell, when two of the kittens disappear suddenly, as if into thin air?" I loved this one! It's actually a sequel to another story, but I didn't feel as if it was one I had to read first. 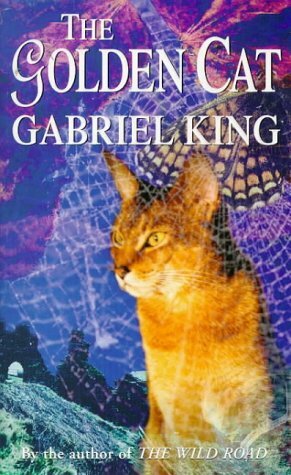 The characters are all wonderful, and I recognised so much of the behaviour - it has made me more aware of what was going on in my (former) cats' lives! Going to Weebly, whose cat visited the vet recently - hope the paw is getting better now. Many thanks for the book Wistful. Scamp says meeeoooowwwww and is well and truly on the mend. Nice surprise to get this in the post today from weebly, many thanks. I look forward to reading it. 9 years is too long to have a book on my tbr so I will be passing it on very soon.